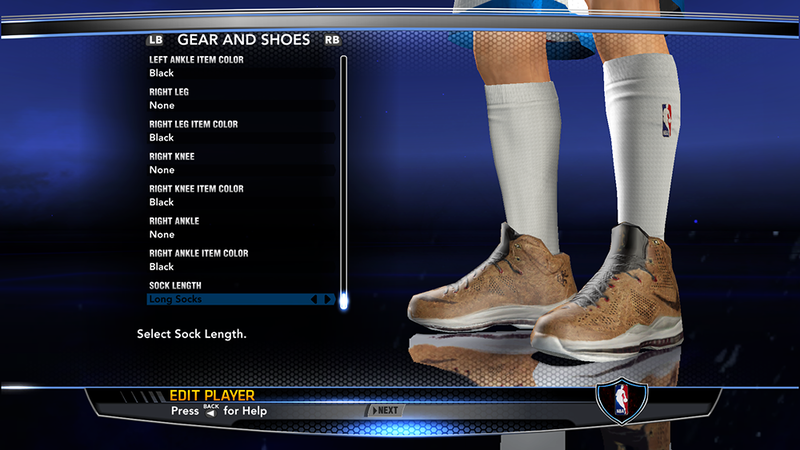 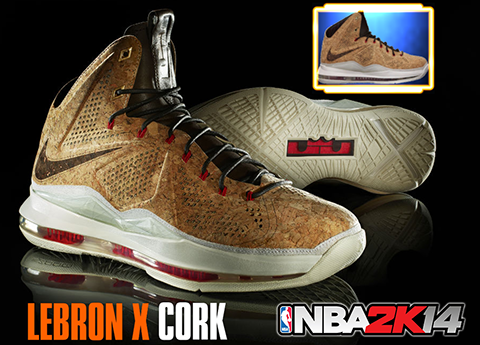 Add the elegant colorway of LeBron James' signature shoe to your NBA 2K14 sneakers collection, the LeBron X "Cork". 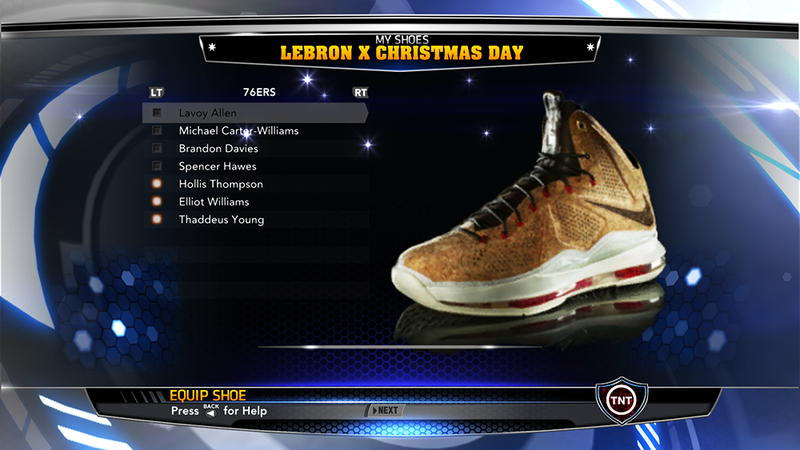 It will replace the original LeBron X Christmas Day edition kicks in the game, but the default files are also included in the patch just in case. 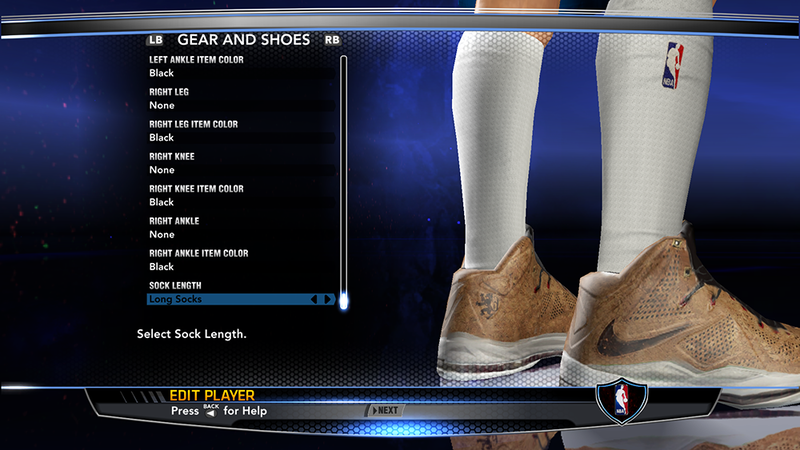 Installation: Drag the two files from the "LeBron X Cork" folder in to your NBA 2K14 game folder - \Program Files\2K Sports\NBA 2K14 and replace the existing shoe files.